Looking for a Used GX in your area? 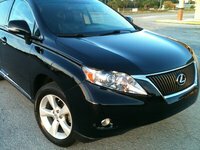 CarGurus has 6,192 nationwide GX listings starting at $15,995. Remember when your Mom used to say, “a place for everything and everything in its place”? The place for the 2012 Lexus GX 460 is wherever you need it to be. A true multi-tasker, the GX 460 is a very comfortable SUV on the road, but is able to maintain its street cred when off the road. The 2012 GX 460 is a carryover from previous years and shares some basic design and its frame with the Toyota 4Runner. The GX 460 bills itself as a luxury sport utility, and while that may sound like an oxymoron, its ride and amenities are certainly more luxurious than those of its molar-jarring cousin. 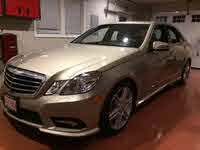 There are minimal changes for 2012: some added bling with chrome-accented moldings on the Base trim and shiny, high-gloss wheels for the Premium trim. The 2012 Lexus GX 460 Base trim comes standard with 18-inch alloy wheels, heated side mirrors, rain-sensing wipers, running boards, a sunroof, leather upholstery, a leather-wrapped power tilt-and-telescoping steering wheel, power-adjustable heated and ventilated front seats (with power lumbar), driver's memory settings, power-folding third-row seats, dual-zone climate control and an electrochromic rear-view mirror. Where the GX 460 really excels is in its standard back-up camera and 9-speaker audio system with a 6-CD changer, Bluetooth audio and phone, satellite radio (90 days free, then it's up to you), iPod port and an auxiliary audio jack. Many of these items are upgrades for other crossovers in the GX 460’s class. The GX 460 Premium trim adds an adaptive variable suspension that adjusts the shock absorbers to current driving conditions. Drivers can select from three settings: Comfort, Normal and Sport. There is also Lexus' Kinetic Dynamic Suspension System, which temporarily disengages the antiroll bars to improve off-road travel. This package can also come with Crawl Control. Despite the name it is not for congested traffic situations, but rather reduces the speed of the vehicle to an extremely slow pace to allow the driver to concentrate on steering to avoid all those large boulders that keep showing up in SUV commercials. Premium trims also include adaptive cruise control, auto-dimming side-view mirrors, adaptive xenon headlights, upgraded leather-upholstered seats, a heated wood-trimmed steering wheel, heated second-row seats and air-conditioning for rear passengers. The nice thing is most of these same features are available as options for the Base trim. The Lexus GX 460 comes with a 301-hp 4.6-liter V8 engine with a 6-speed automatic transmission. All-wheel drive is standard, as are hill ascent and descent assist, and an ECO indicator that tells the driver when the car is being driven in the most fuel efficient manner. 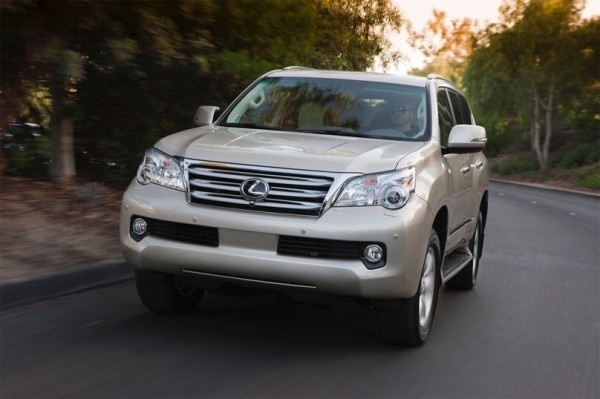 The GX 460 can tow up to 6,500 pounds, is rated at 15 mpg city/20 highway and uses premium fuel. This vehicle is heavy at 5,300 pounds and predictably, acceleration is not quick, but it is smooth. The V8 engine and transmission are more than capable of moving the vehicle when they need to and have passing clout when necessary. Safety features for the GX 460 include ABS, traction control, antiskid system, curtain-side airbags, front- and second-row side airbags, and front knee airbags. There is also Lexus' Safety Connect assistance system, which includes a collision notification system, GPS vehicle location in case of theft and emergency roadside assistance. In the Premium trim you can get a lane-departure warning system and a driver-attention monitor, which again can be ordered as an option even for the Base trim. The GX 460's ride is generally smoother than your average crossover SUV's in the city, but you will notice some stiffness when off-road, especially in the Sport mode offered in the Premium package. The cabin is incredibly quiet for a vehicle of its size. The interior is not as opulent as you might expect from a Lexus, but controls are well placed, easy to read and intuitive. Front seat passengers should have no complaints, as the seats are very comfortable, and there is more than enough leg- and headroom for even large adults. The second-row seating area has small access and exit points and is hampered by a hard, middle seat bump that covers the driveshaft. The third row is small for just about everyone except kids, unless you want to give a time-out to that one rider in your vanpool who won’t turn his iPod down. The GX 460’s cargo space is average for its class, but can be augmented by sliding the second and third rows forward and completely flat. You can also fold down the third-row seats from a power control in the rear of the vehicle, which is nice when loading cargo. The rear door is not a hatch and opens from the driver’s side, but has a top-opening window. Unlike other SUVs the rear door has prop rods that can hold the door open at any angle and can even be locked into a full open position by turning the rods. I’m thinking about those times when groceries need to be loaded in the pouring rain, and your teenager is sitting in the front seat texting and oblivious to you standing out there. Perfect. There are probably better choices to be made for a luxury SUV if you don’t need the considerable off-road options the Lexus GX 460 offers. 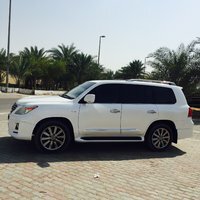 But for families that want a larger, more comfortable vehicle most of the time but still want to be able to escape the city once in a while, the 2012 Lexus GX 460 is a great choice. 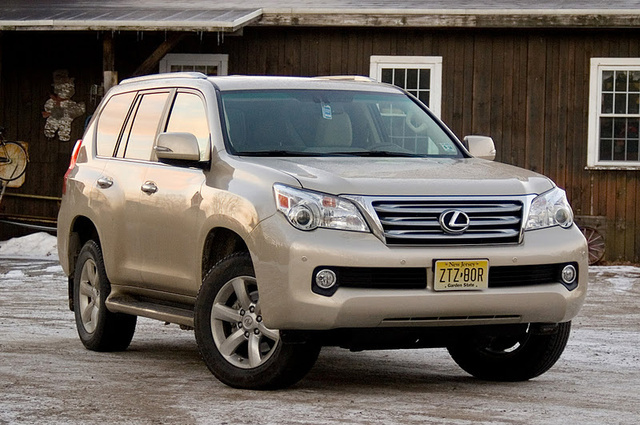 What's your take on the 2012 Lexus GX? Have you driven a 2012 Lexus GX?